Getting power from point A to point B when there’s no electrical outlet on one end usually means that you have to employ the aid of an extension cord. I’m sure you probably have at least one orange extension cord in your garage or home. Long extension cords are obviously handy, but uncoiling and coiling them back up once you’re done using them can be a chore that involves tangles and knots. I’ve been testing the RoboReel Power Cord System, which is a fantastic solution to this first world problem as long as the price doesn’t scare you away. But before we get to the price, let me show you how it works. 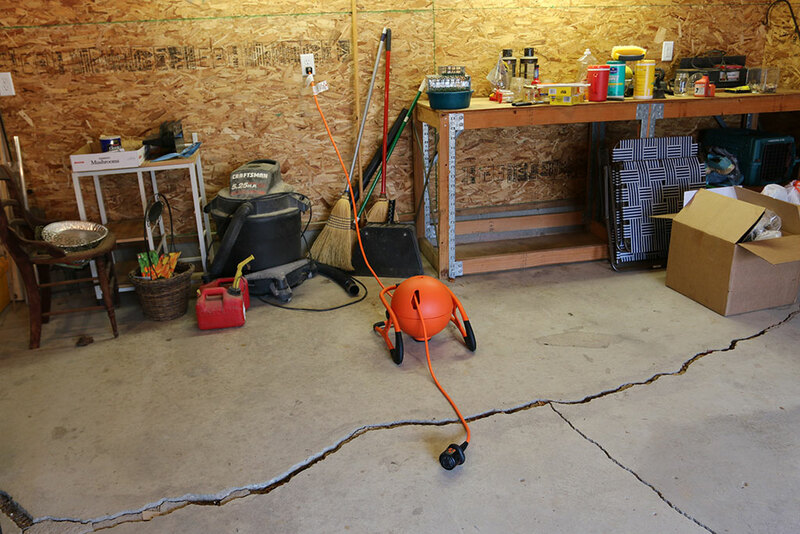 First of all, here’s one of my trusty orange extension cords that I keep in my garage wrapped around a green plastic holder. I’ve never had a major dislike for this cord, but I can’t help but look at it differently since I’ve been using the RoboReel Power Cord System. The RoboReel comes completely assembled and looks like an orange basketball mounted on a sturdy frame. The frame is built to last with rubber corners and a grip that you use to move it from place to place. 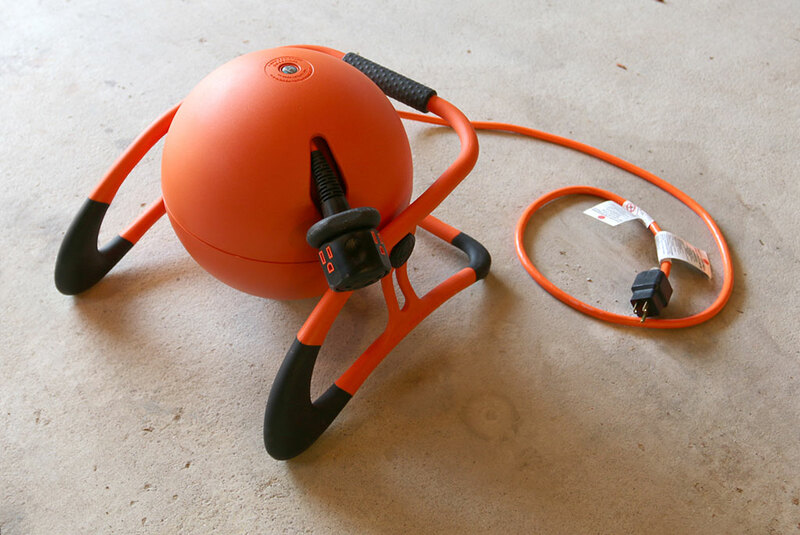 The reel is heavy enough that it will stay put on the floor when you’re pulling out the cord. 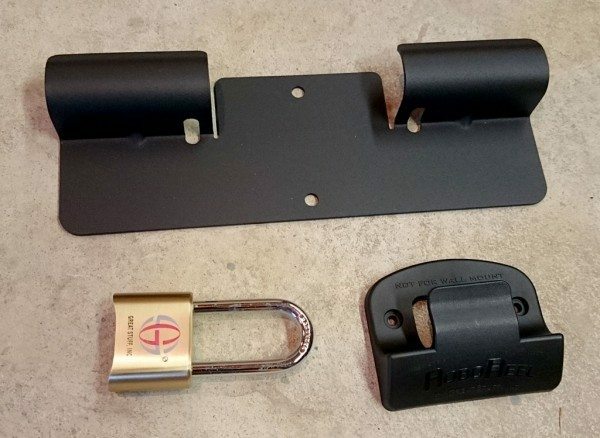 If you want to mount the RoboReel on a work bench, wall, work truck, etc., hardware is included to let you do that including a lock and key that secures the RoboReel to the steel wall mount fixture. A power entry cord is attached to the back of the reel. This is the cord that you plug into your wall jack. The cord is a fixed length, but is should be long enough for most situations. 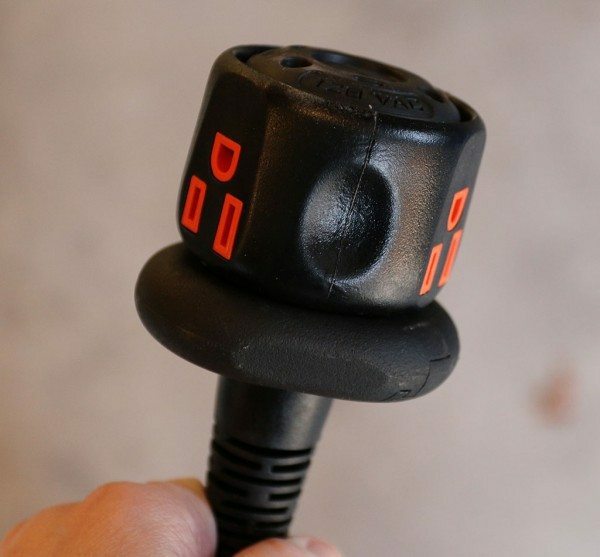 The cord has a heavy duty 3 prong plug with a circuit breaker reset button built into it. A 50 ft 12 gauge extension cord is housed inside the dome. The top hemisphere of the dome can rotate 360 degrees so that you can easily maneuver the cord where you need it. The receptacle has 3 outlets and a thick wear ring that will protect it from dragging across rough surfaces when the cord is being retracted back into the RoboReel housing. The end of the receptacle has a retract button in the center which will toggle power to the cord and will wind the cord back into the housing. 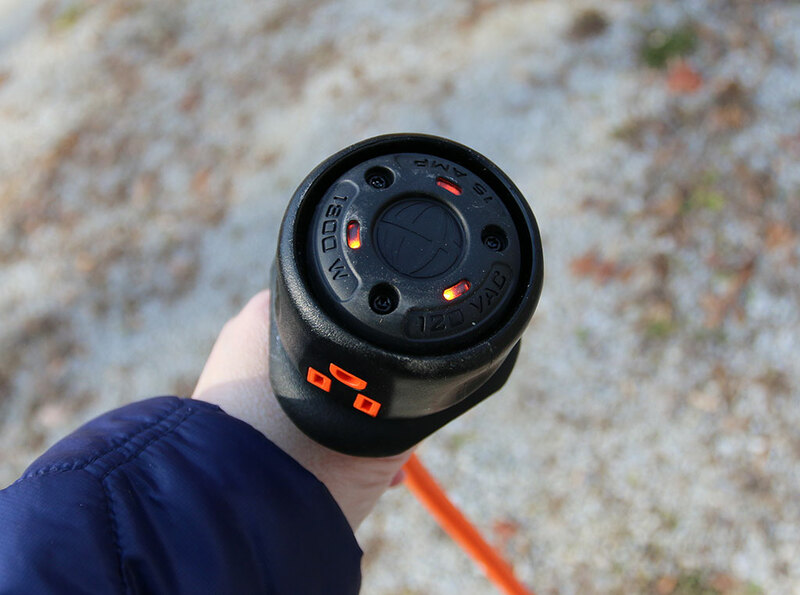 Power will automatically turn on when the cord is extracted more than 18 inches. This will be evident by looking at the orange LEDs on the end of the receptacle. The RoboReel is very easy to use. 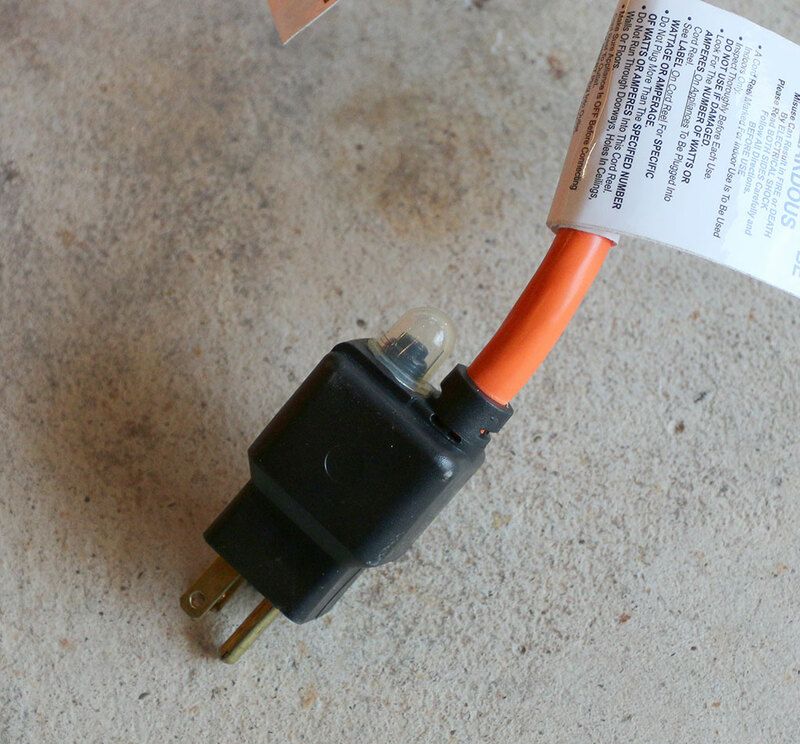 Just plug in the power entry cord into a 3 prong grounded North American 120V 60Hz AC power outlet. You’ll hear the familiar da tada da tada charge tune letting you know that the cord is ready for use. You can then grab the receptacle and pull or walk to where you want to work. The cord pulls out smoothly and easily without a lot of effort. Here I have the cord pulled out to the max length which is more than long enough to use out in my driveway around my car. In the image above you can see the receptacle is all the way out in the road at the end of the driveway. 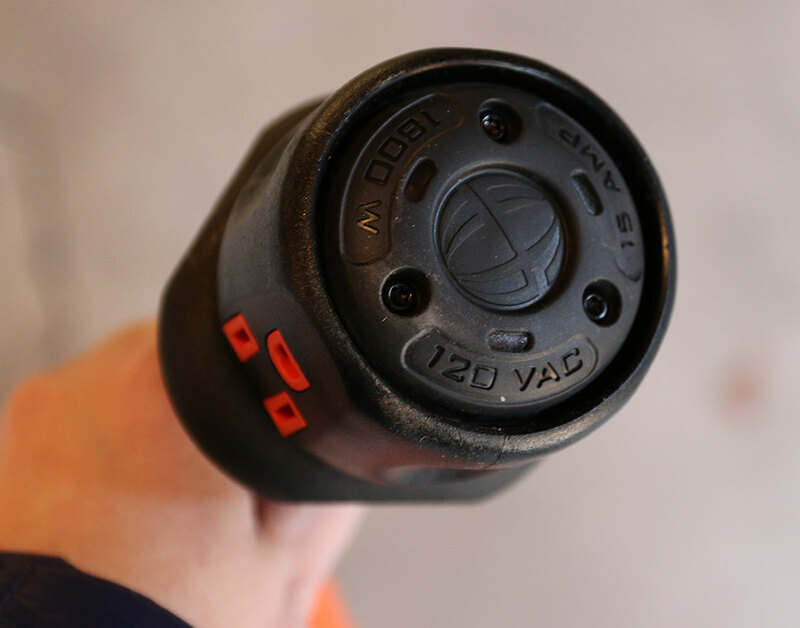 I was able to connect a vacuum to the cord and clean my car. It worked great. Note that if you plug a device into the RoboReel power receptacle that is already switched on, it will automatically be powered on when RoboReel cord is extended. This could cause an injury depending on the device. When you’re done using the cord, just press the button on the receptacle (or the button on the top of the RoboReel dome) once to turn off the power to the receptacles. Then unplug any devices and press the button on the receptacle or the button on the RoboReel dome once more to retract the cable back into the dome. 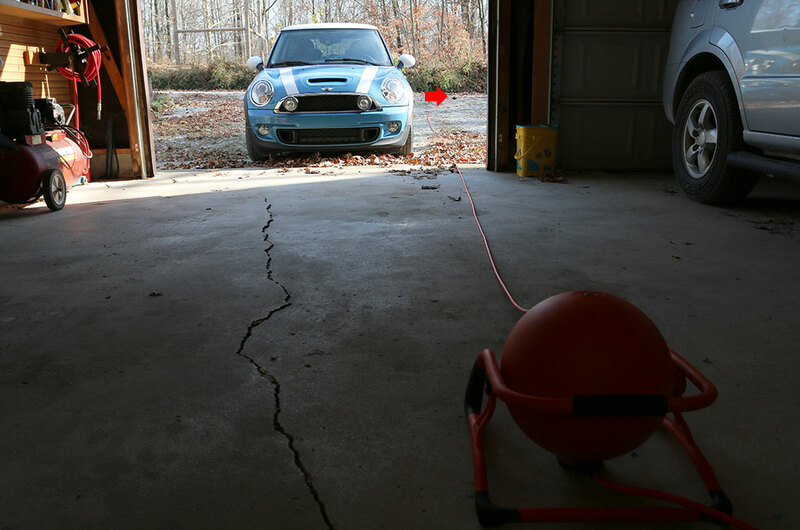 The powerful motor pulls the cord back in at a nice even pace without whipping it around. The pace will slow when the cord has been retracted a certain amount. This setting can be customized which is useful if you mount the reel on a wall or overhead. There are a lot of safety features built into the RoboReel including automatic power shut off if the cord is accidentally severed, automatic shut off if the cord gets stuck on something while trying to retract, thermal protection which shuts off the power due to heat and over current protection which causes the circuit breaker to trip if the current exceeds 15A. The RoboReel Power Cord System is built with high quality materials that are meant to last, and is backed by a 4 year or 4000 wind warranty. You’ll know when the number have winds have been reached by the start-up tune that plays when you plug in the reel. It changes from the da tada da tada charge tune to a different tune. The RoboReel only has one “problem” and that’s the price. At $299, this isn’t a product that everyone will be able to afford, which is a shame because this is a fantastic garage, workshop, home tool. But, if you are fortunate enough to have the means to buy a RoboReel, definitely check into it. 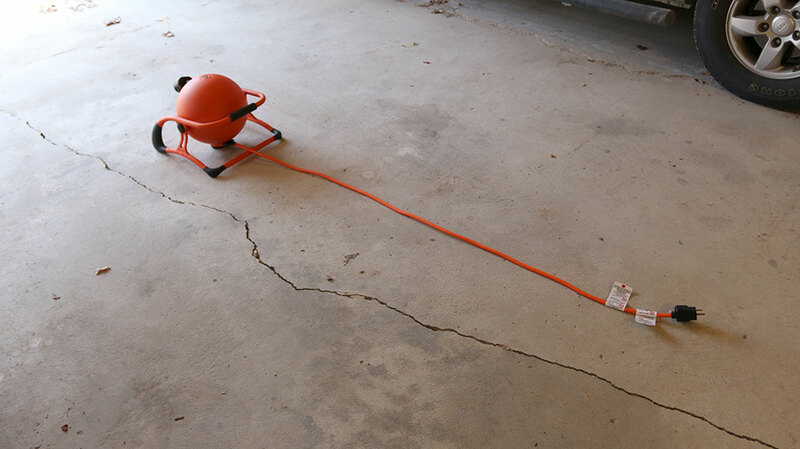 You’ll shun stand alone extension cords for ever more. 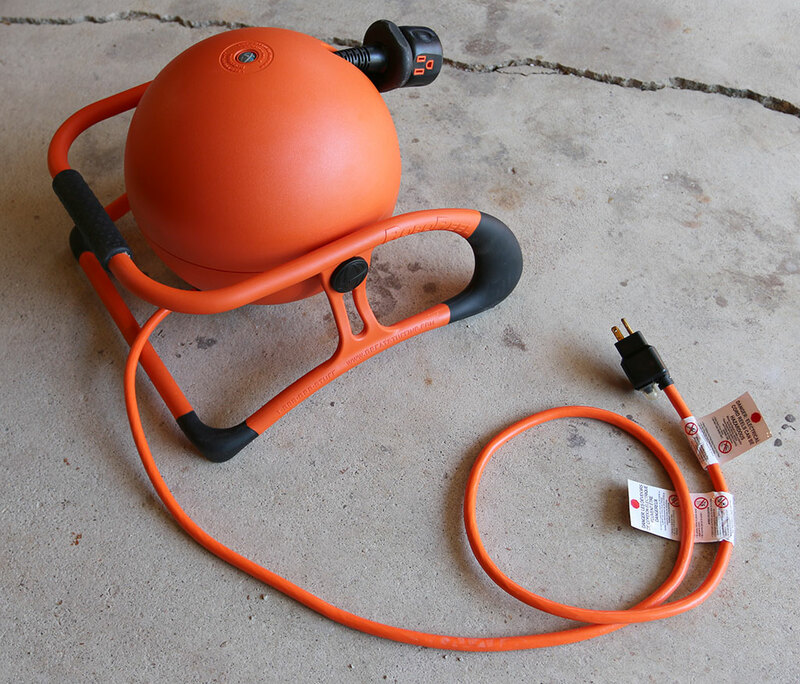 By the way, Great Stuff, Inc. who makes the RoboReel also make a water hose reel based on the same type of design. Although I don’t need to use a power cord outdoors that often, whenever I do, I use the RoboReel and it hasn’t failed yet. I like it much better than the loose power cord that I have hanging on the wall. Being able to push a button to have the cord automatically retract is a lot nicer and faster than doing the traditional hand / elbow cord wrap dance. 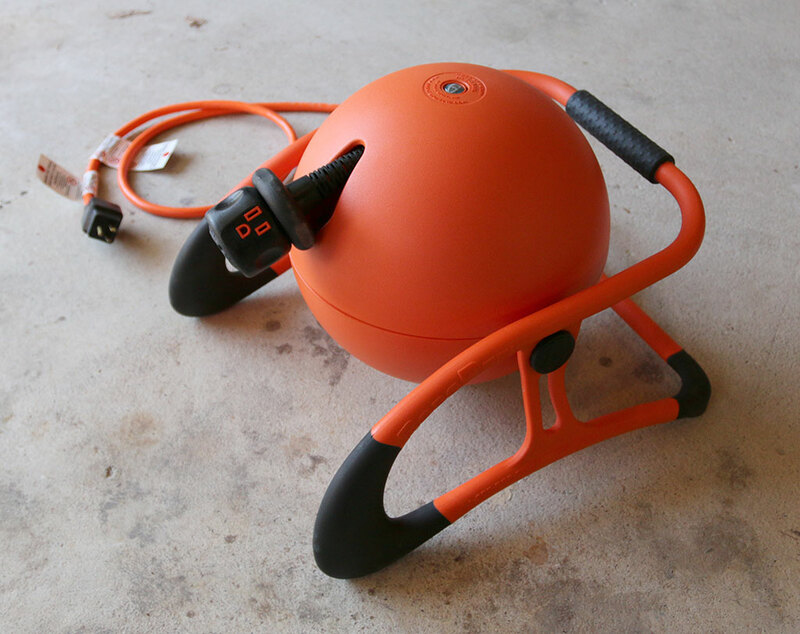 Source: The RoboReel Power Cord System sample for this review was provided by Great Stuff, Inc. Please visit http://roboreel.com/ for more info. I don’t need such a thing (living in an apartment), but growing up in suburbia my father had something similar to this product from Uline. A little different idea, but quite a lot less. @Sandee He most likely had a spring driven cord holder. With those you just give them a yank and the cord winds back into the housing. The problem with those types is that there is no speed setting so it will slow down when it gets to a certain point, so it can cause the end of the cord to whip around and hit objects or people. Oh man, I really want one of these. I can totally see where it would go in my garage. I HATE rewinding the darn power cord for my electric blower. I have gone full electric on my mower and blower to be a bit more green and have less maintenance going forward. Rewinding that cord after over an hour of hard labor is just a pain in the you know what. Plus it would make storing the cord so much easier than having it lie in its circular storage on the garage floor taking up room. Time to start budgeting for this. The locking brackets is a great idea for a $299 gadget. When we redid our house, one of the subcontractors stole my nice extension cord. I can imagine a Roboreel being much more desirable.